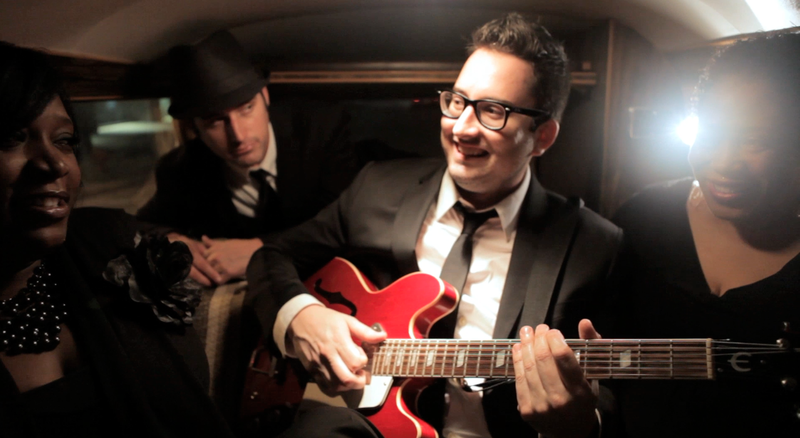 It only takes a few moments for your hips to wiggle and your toes to start tapping before you realize there’s something special about Matt Stansberry’s latest project. Billed as Matt Stansberry & The Romance, the 10-member crew is more than a throwback to catchy ’50s tunes. No, it’s more like an episode of American Bandstand and each member is just itching to show off their musical chops. We can only fit so many humans into the van, so Matt had to consolidate the band’s size for this session. He invited his brother Joe Stansberry and backup singers Chandra Graham and Myra Beasley. Matt chose wisely, and the resulting episode is a reminder of how keeping it simple only looks easy when you’re songs are that good. What do you get when you mix a dog, a fiddle, an upright bass and a Purcell-native named Parker Millsap? Well, the session above should give you a pretty good hint but we can make it easy on you. The answer is hot sauce. We couldn’t be happier to invite the red dirt talents of Millsap into the van to play an unrecorded, new song. If you enjoy this session then you’ll be pleased to know Milsap and bassist Michael Rose will be performing at The Blue Note Lounge on Friday. Now, grab your dog and start dancing. When Josh Roberts isn’t busy recording in Nashville or touring throughout the country, he finds some time to land back in Oklahoma. We managed to catch him last October for a quick session. Stay tuned for a new episode next week with Tyson Meade of the Chainsaw Kittens. It took Memoryhouse two years to craft its debut album but only four minutes to wildly impress us inside of the Spy Wagon. The Toronto-based duo took cover from the rainy weather with guitar in tow, and the result was a dreamy acoustic ballad from the band’s first full-length Sub Pop album, “The Slideshow Effect.” Singer Denise Nouvion and composer Evan Abeele base their songs on photographs. Maybe that explains whey this VDub Session is picture perfect. Well, it’s time you meet John Paul Keith. One part Buddy Holly and the rest parts catchy as hell. That’s the best way to describe the rockabilly songs coming from Memphis-based artist. The good people of Okie Dope records invited Keith to perform at VZD’s, and he was kind enough to share a song from his latest album. Enjoy this blast from the past because they do make ’em like they used to.